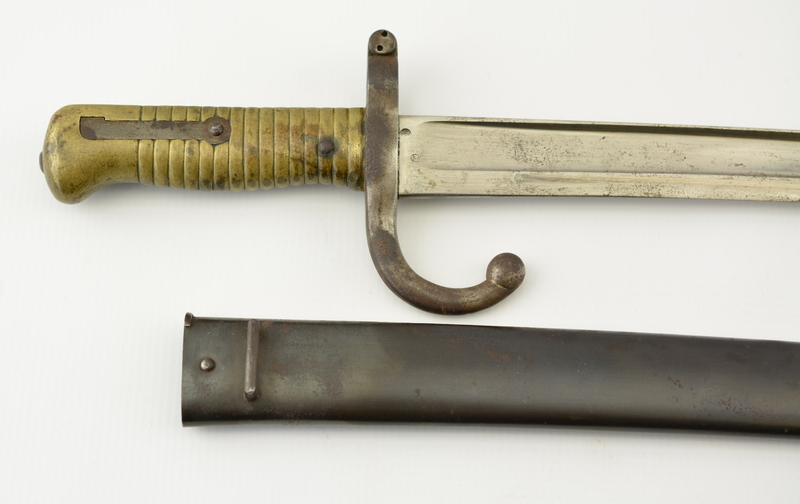 Description: This is a St. Etienne-made bayonet that measures 27 1/2” overall with a 22 5/8” yataghan blade having wide single fullers. 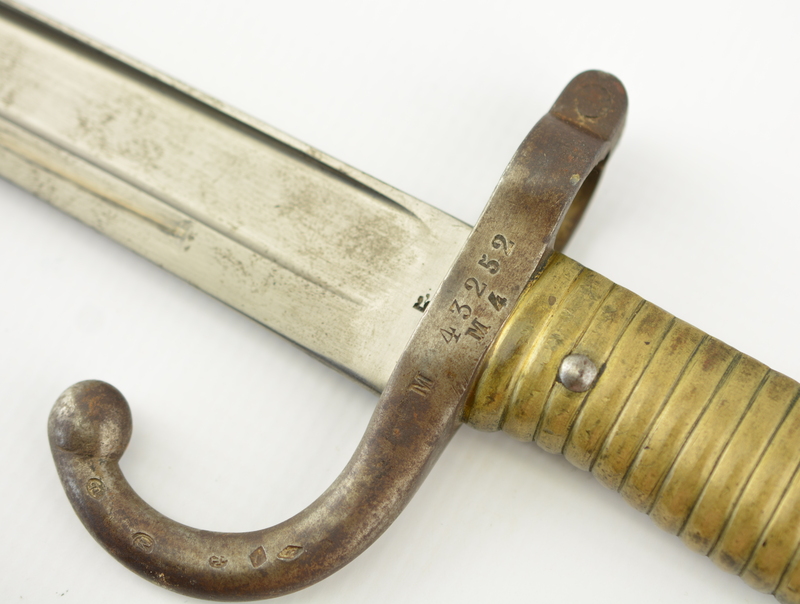 The blade has a mostly armory bright finish with specks of mild surface freckling throughout, and has the typical French arsenal marking along the back edge of the forte. 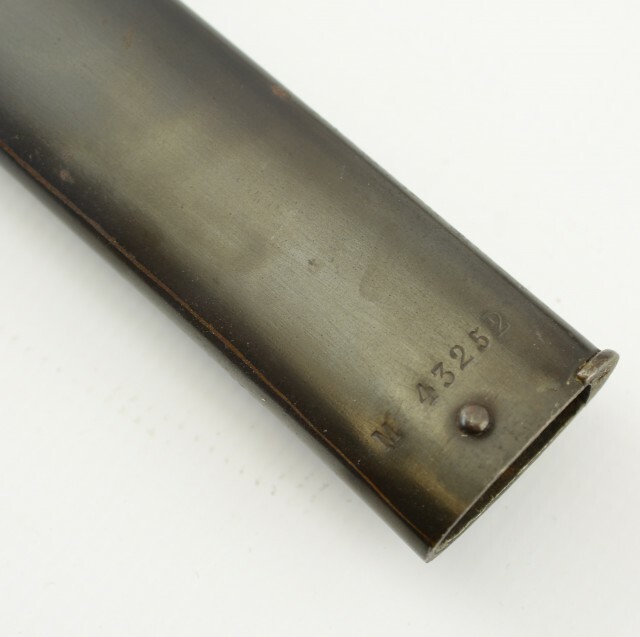 The iron crossguard has a single hooked quillon, muzzle-ring, and has a darker gray-brown freckled patina. 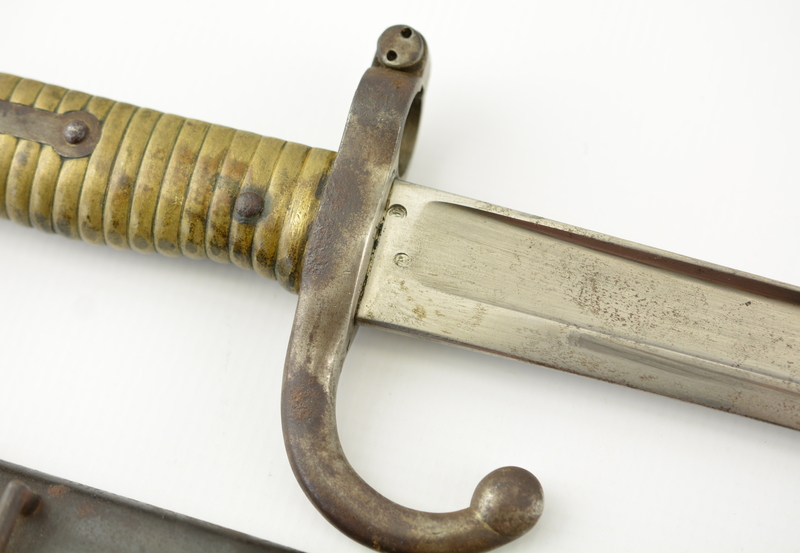 The brass hilt has an overall bright yellow-ochre patina with scattered small impact marks and darker tarnish within the grooves along the grips. The scabbard has scattered areas of light surface oxidation, and a few shallow dents along one side. 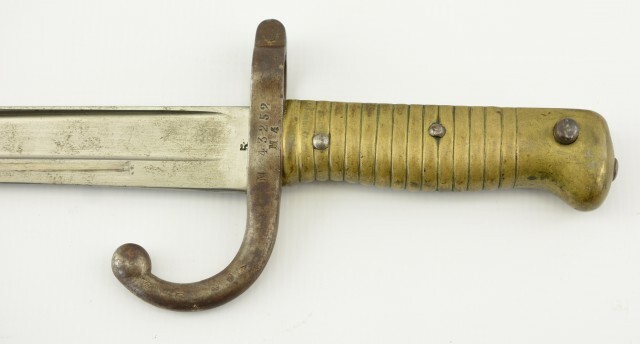 This is a nice example of a Chassepot bayonet, and rates good-very good condition overall.